This shapewear comes with a special design of built-in bra and compression area which make a curvy body with a comfy feel. Several zones of comfortable compression help to modify your body line. Built-in genie bra with soft contour cups custom conforms to your shape help to lift and support your bust. This one piece curve of seamless design which will show your body line. Pads of magic pouch can accommodate or remove for extra lift and coverage. Made of spandex which has good elasticity and comfy to wear. 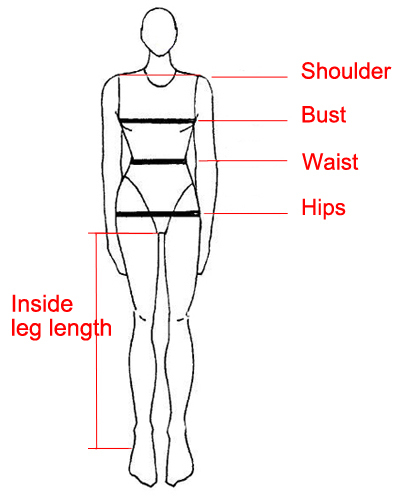 Please refer to the measurement chart before buying the product.